According to a recent survey, a shocking 94% of knowledge workers have at some point felt overwhelmed by information to the point of powerlessness. A 2012 study by the University of California suggests that current data levels are the equivalent of everyone consuming 12 hours of information each day. In practice, that means that three quarters of our time is spent receiving information – no wonder we are all getting overwhelmed! Too much information can significantly diminish our attention span and focus, not to mention hinder our ability to be creative. The impact on individuals varies from simple time-wasting to serious stress. For organisations, this can result in a damaging loss of productivity. But fear not. You can transform crushing quantities of information into something meaningful and give your brain the freedom to think using our Mind Mapping technique. When brainstorming a fresh idea, kick-starting a new research task or beginning a long-term project, you need a method for reviewing all of the essential information without getting overwhelmed and forgetting something important. 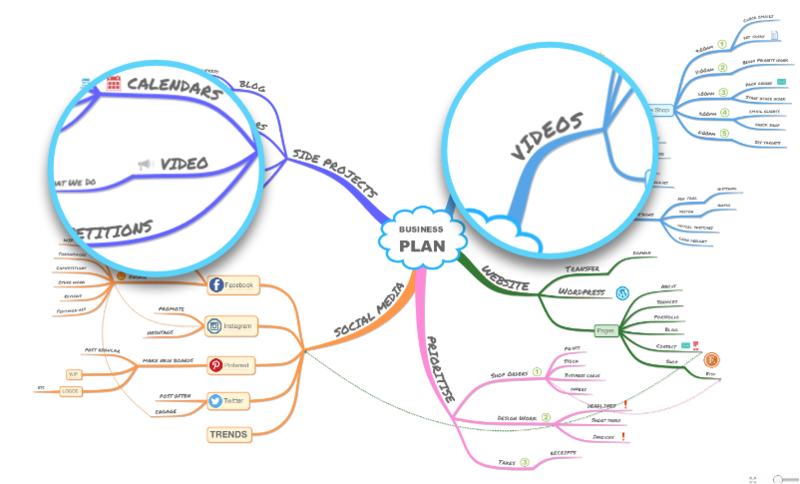 Mind Maps help you to break large volumes of information down into manageable chunks. Using single keywords on your main branches captures only the most crucial details, so you can consolidate large amounts of information on one compact sheet. With a bird’s eye view of all of the key facts, it’s easy to concentrate your efforts on the task without feeling flustered. Often you are required to draw out common themes from a large volume of information. For example, when writing a report, planning a blog post or outlining a presentation, you need to understand the shape and structure of your topic. A Mind Map’s pre-structured framework is ideal to help you to gain a clear understanding and create a logical structure. You can focus your mind on the message you want to convey and forget about going off topic. Colour coding your branches is an effective way to highlight key points and themes. It’s a lot easier to determine what information you ‘need to know’ in relation to what is ‘nice to know’, cutting down the stress that can build up when you try to process large amounts of material at once. Being faced with a mass of information can spark panic and stifle the creativity required for problem solving. Instead of ‘forcing’ your mind to find a solution, Mind Mapping helps to open up many possibilities, calming you, so you can find clarity and work towards solving your problem. A Mind Map’s radiant layout mimics the natural way your brain processes information, drawing out creative ideas through imagination and association. This focuses your concentration on the problem at hand, helping you to generate limitless solutions. To effectively problem solve, it’s vital to spot connections between main ideas, obstacles and end goals. Whether you’re completing an industry analysis, revising for an exam, or tackling a new business project, a Mind Map gives you an overview of the information that you will be working with. This helps you to spot the gaps in your examination and identify the areas that need further attention. Having a top-down view of all of the relevant information allows you to see the bigger picture and discover previously unseen connections that may have been missed. 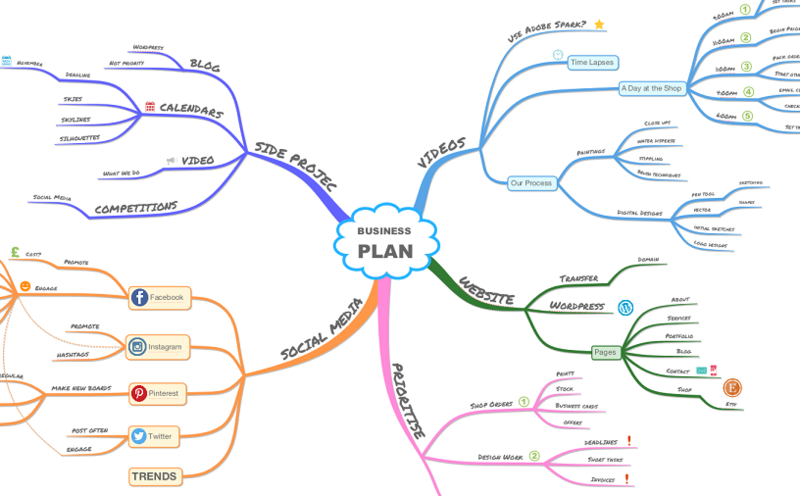 By using the Mind Mapping technique to analyse your information, you can rest assured that your findings are thorough and pick up on any important connections. With so much information to deal with, it can feel impossible to stay focused on tasks and use our resources efficiently. 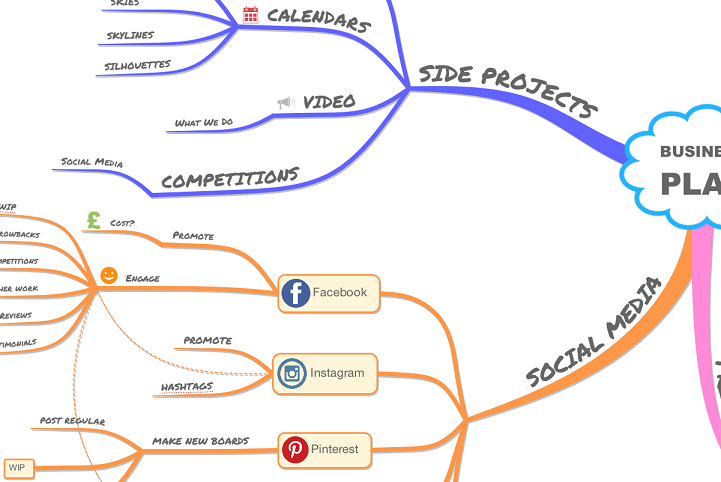 Mind Mapping is an essential technique to shield yourself from information overload. 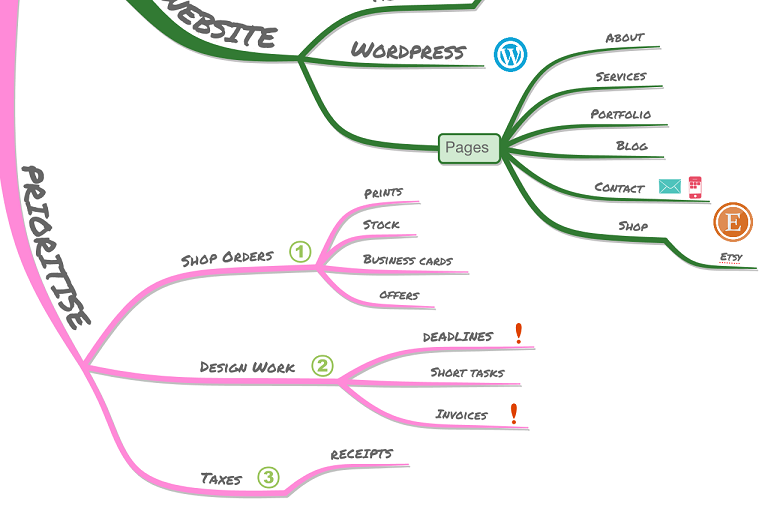 No matter how much information your day throws at you, Mind Mapping software, iMindMap can handle it. Its limitless canvas can manage crushing quantities of information with ease, and transform information overload into something meaningful, useful and creative.